Most of us will face a problem with bones, joints, ligaments, tendons, muscles, or nerves. If you suffer an injury or have a chronic condition like arthritis, take comfort in knowing that the expert care you need is close to home at GRHS. When you need surgery, you deserve the best experience and outcome possible. Our Board-Certified Surgeons perform thousands of procedures using the latest technology in state-of-the-art operating rooms. Contact GRHS to learn more! 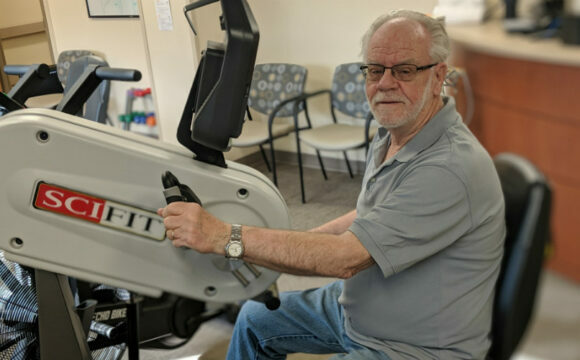 At Glacial Ridge Health System, our focus is on keeping you healthy so you can enjoy things you like to do. Internal medicine provides a full spectrum of care, from routine ailments to complex medical conditions, including primary care. Glacial Ridge Health System provides complete healthcare for every stage of a woman’s life. From the first annual exam and prenatal care, to menopause and beyond, we are dedicated to helping women through all of life’s milestones. We have experienced great listening and authentic concern with good recommendations, whether medical or a referral, from all staff we have encountered. We feel very lucky to have such qualified staff at the clinic and ER in a smaller community. Indeed, not just one doctor, but all we have had consults with are consistent with quality care. My overall experience was so positive. The staff from clinic to hospital to homecare were personable, warm, and caring. The hospital and staff have improved greatly since I moved here in 1979, yet the small town warmth still comes through. Thank you for the wonderful service. My husband, Aaron, and I gave birth to our baby boy, Owen, on March 2nd at GRHS. We reflected on our delivery and stay experience at GRHS so many times and agreed that it was a 100% positive experience. We were so happy and impressed by the care we received, the beautiful new facility, and just by the staff in general. I was 30 weeks pregnant with my 3rd child and wasn’t happy with the care I was receiving at a different facility. I had one appointment and that’s all it took to know that I wanted to deliver my baby at Glacial Ridge. When it came time for delivery (via c-section), it was a little scary but everyone truly sticks to the motto of heartfelt care; we were treated like family by everyone we encountered. I have NEVER felt so at ease about being in a hospital as I did at Glacial Ridge. The care is truly ABOVE and BEYOND! I’m still in shock at how genuine everyone was! The care was excellent and the staff is not like any hospital I’ve ever been in or visited. Everyone that stepped into my room was just wonderful including the nurses, Dr. Schlueter, and physical therapists – EVERYONE. They were all kind, smiled, and there was never a delay in response to my call light. My experience was wonderful. Moving to this area from the Twin Cities, we were unsure of the level of medical care that would be available. We are pleased to have encountered excellent professional medical care in the Glacial Ridge System. Doctors, technicians, office staff – all have provided excellent and friendly care. This quality service has meant a lot to us each time we needed medical care. We are glad to make this our home, and to be served by Glacial Ridge. I drove 30 miles just to bring my son to see Margie Nelson at the walk-in clinic and it was so worth the drive. He had a bad case of strep throat and was really sick. When Margie came into the exam room, she saw that he had the chills and brought him warm blankets. I have never seen a provider do that in my whole life. She was so kind and compassionate that she put a scared, sick boy at ease. I was amazed at the care and concern from the staff at GRHS. They kept me updated on what was happening and what was going to happen. The doctors, nurses, and anesthetist were just great. I would highly recommend GRHS.